The court date for Dolores Bustamante, an undocumented worker facing deportation, has been postponed to May 8. Advocates had originally planned for a day-long vigil for Tuesday, December 19, at the Buffalo Federal Detention Center in Batavia, during her immigration trial. 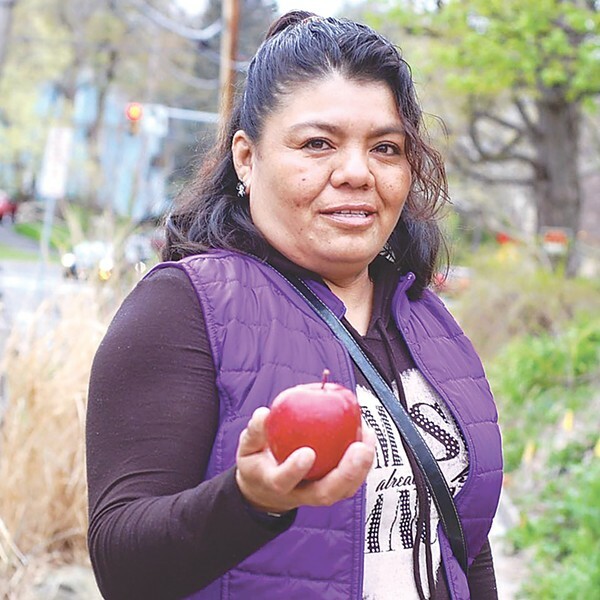 Bustamante and her then-3-year-old daughter fled Mexico in 2004, and she ultimately settled in Upstate New York as a farm worker. She has since become a recognized advocate for farm worker and immigrant rights. But Bustamante was pulled over in 2014 for speeding and handed over to immigration authorities. Apple farm worker Dolores Bustamante, an undocumented immigrant, fled Mexico with her daughter 13 years ago. She was pulled over for speeding in 2014 and now faces deportation. Supporters for Bustamante at the Worker Justice Center for New York say that under previous administrations, her clean record, employment, and the fact she has a dependent child would have made her a candidate for prosecutorial discretion. But there has been significant pressure under the Trump administration for Immigration and Customs Enforcement to pursue deportations. The detention center is located at 4250 Federal Drive in Batavia. Click here for more information.